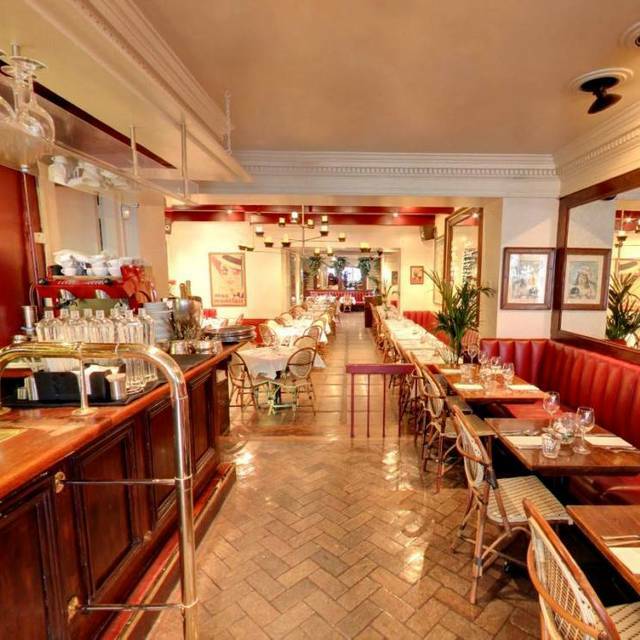 You must make bookings at least 5 minutes in advance of the time at Palm Court Brasserie. A short walk from Covent garden, Leicester square and Charing cross underground stations. 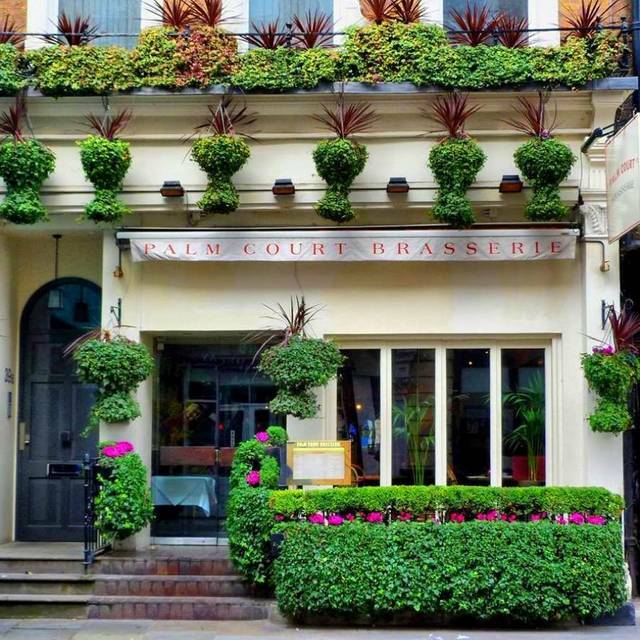 Palm Court is the quintessential Parisian-style brasserie in the heart of Covent Garden. The restaurant has been lovingly crafted to recreate a classical 1920’s art nouveau-style venue echoing elegant dining rooms in Paris’s most affluent arrondissements. The restaurant offers a menu of French classics centred on seasonal meat, fish, seafood and vegetable dishes with quality and flavour at the forefront of our work. 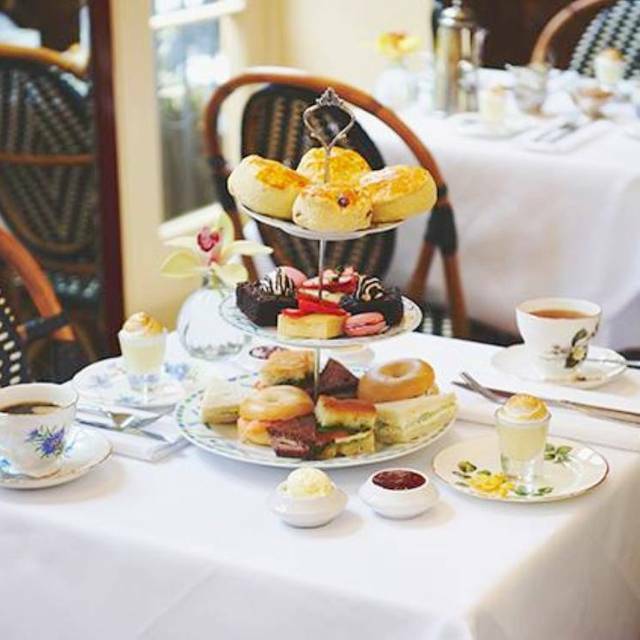 Whether you are dining for lunch with colleagues, dinner with a special someone, for Afternoon Tea with family or simply stopping by for a glass of wine, Palm Court Brasserie resonates the ideal environment to help you relax and unwind. Our wine list boasts an enviable list of labels spanning the vineyards of France, Italy and the New World. 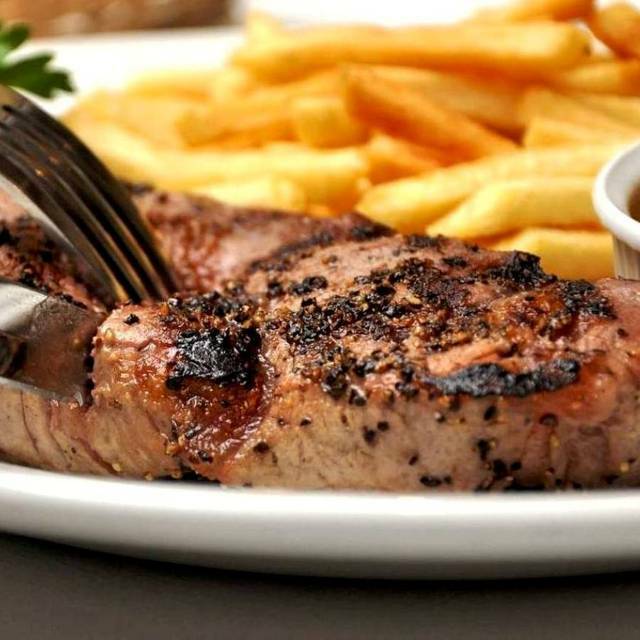 Get 50 % off your food only from a la carte menu. Min 2 courses per guests ( starter & main or main & dessert ). Excludes steaks. 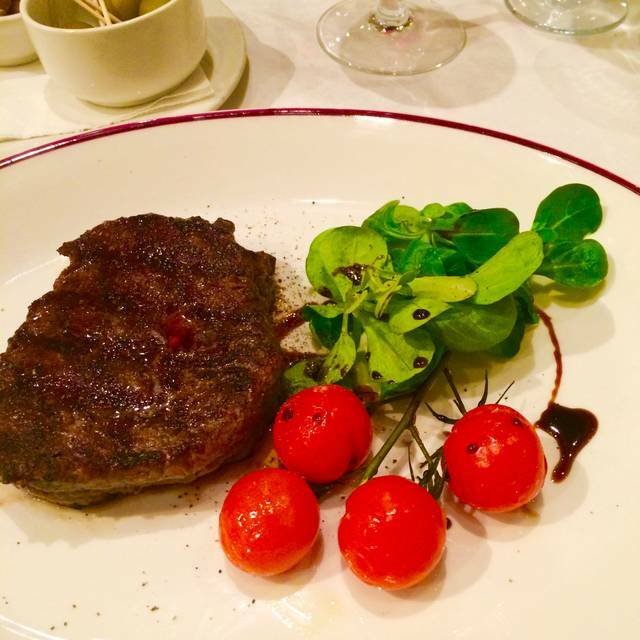 Get 3 course set menu (starter,main course and dessert) with a kir royale for £25. Offer applies to the set menu . Get 25% off your Food Only. Minimum 2 courses per guest (starter and main or main and dessert). Excludes steak. 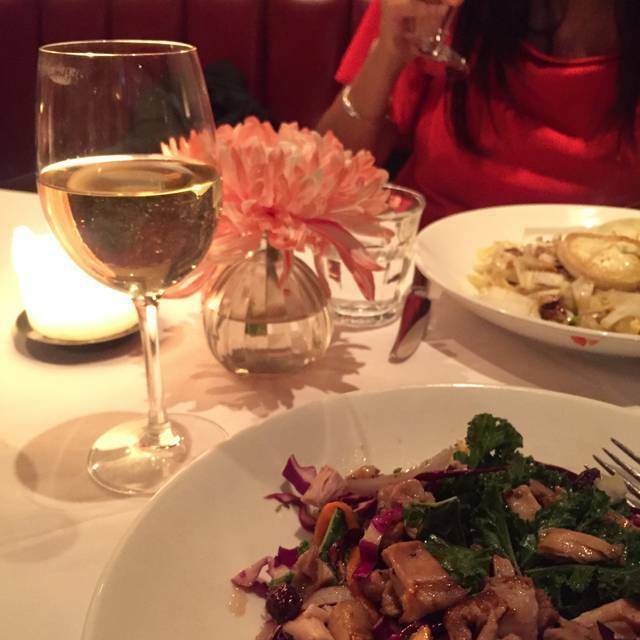 I had the dinner with my family during the holidays we passed in London. I booked the restaurant based on the recommendation of both Opentable and TripAdvisor which rated the restaurant as a very good restaurant. 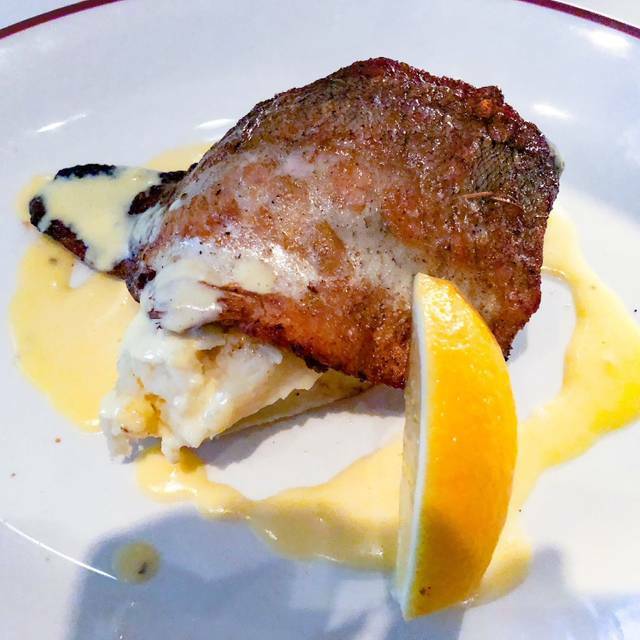 Our experience was slightly different even if we have to say that the place was quite nice because very close to Covent Garden Market and the quality of the food was surely acceptable. The atmosphere within the restaurant was hectic with too many in and out probably because of the “tourist place”, the tables and seats were too narrow and really difficult to have a dinner with a 4 members family. Waiter was kind, an Italian guy, but we had the feeling they want to free as fast as possible the table for the next wave of tourist. Food was acceptable, to mention the onion soup which was really tasty meanwhile the chateaubriand was nothing so exceptional. We ha significantly better taste experience in other high level restaurant in the area. It is not the like of place we prefer but should be recommended to people which looks for acceptable food at an high place and quite fast. Lovely meal, good service, enjoyed ourselves would visit again. Really liked this restaurant! Lovely atmosphere and the staff were attentive without being intrusive. We had the set menu which was great value. Will definitely return soon. Our favourite go to restaurant when we visit London! Always good service and excellent food! We are sure to return. A reliable good value pre-theatre venue. A good menu with a ‘set’ pre-theatre section and staff & kitchen who know about performance deadlines. Disappointed, average food and service - starters and desert were nice but mains was awful, and food came out not barely warm. An opportunity to catch up with a friend over an early dinner in Covent Garden was an ideal occasion for a return visit to Palm Court - and it proved a good choice. The friend has a number of dietary considerations to deal with and had spoken to the restaurant in advance of our visit and was reassured, and clear information was presented with the menus. Additionally our order taker double checked a couple of specific points with the chef, providing further assurance. The food served to both of us was excellent and sensibly portioned. The restaurant gets busy with pre-theatre diners but service to us was courteous and prompt, without being over fussy. I have no negative comments - a good experience all round, and would happily recommend Palm Court to others. The standard of food was high and the drinks were lovely. The best thing about this place was the atmosphere and the staff. Was great to see them all so happy, smiley, attentive and best of all fun! Would definitely recommend. We have been here about 8 times now and have loved it every time . We recommend this restaurant and look forward to eating there soon. Great Sunday Lunch, service good, would definitely return. 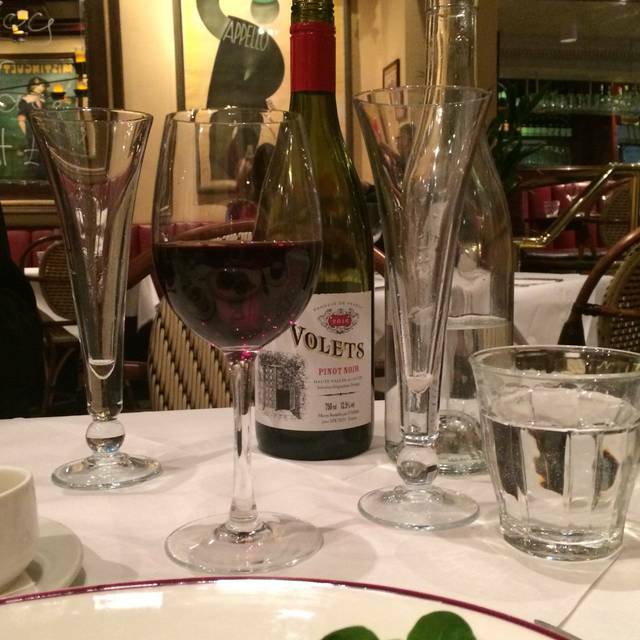 Love the Palm Brasserie and always go there before a theatre trip. Excellent value for money. Fabulous service - Cosmin was attentive but not too much, very helpful and gave excellent customer service! Cosmin was the perfect waiter just the right balance of fun along with excellent service and banter! If we right a good review he says you won’t sack him 🤣🤣😱. You’d be fools to part company with him. I have been here a few times, nice spot in Covent garden, service is always sweet. As i am usually dining alone this is important to me. Great food, tasty and served very nicely. The service was good and the atmosphere was fabulous. I like the relaxed feel but also appreciate the cloth tablecloth. I regularly return. The food choice is good and appropriately priced for this part of London. The food quality is also good and reflective of the menu prices. Wines are affordable. On almost every occasion I have visited the service was unobtrusive and friendly. 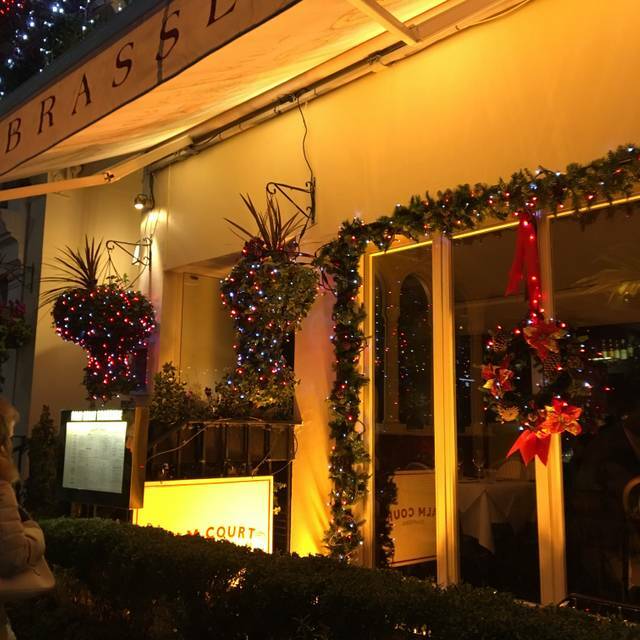 We have previously enjoyed the excellent food at Palm Court Brasserie and our recent visit did not disappoint. The food and service was well up to the usual high standard. Due to a change of plan, we arrived at the Brasserie an hour earlier than our booking but there was no problem with this and we were able to go straight to our table. The ambience at the Brasserie is busy but not noisy. We were there early evening and clearly a number of the diners were eating before going to the theatre as it became quieter and less busy after about 7pm. The waiting staff are friendly and efficient. We will certainly return ! We have been twice before to Palm Court, but this is our first time in the evening. The candles and french chairs gave a lovely atmosphere. We plan to take our friends next time we are in London. The food was delicious and the service attentive. The food was really excellent... the duck breast was cooked to perfection with a wonderful jus. Minor changes to the other dish accepted with alacrity. Waiters attentive and efficient. Nice ambience and very close to Covent Garden.... enjoy! An excellent venue for a pre-opera meal. The welcome is genuine, service is efficient without being rushed, and the quality of the food and drinks is superb. Excellent value for money, and a place to return to time and again. Lovely relaxed atmosphere and great food. A Mothering Sunday treat for the three Mums in our party of six and it was great. We almost all chose different main courses and not one of us was disappointed. So, beautiful food and, because of the offer, fantastic value for money. The only thing I would say is that the tables were VERY tightly packed and the noise level, consequently, extremely high! But, all in all a very pleasant experience and Inwould certainly recommend the restaurant to friends and family. Great service, wonderful atmosphere, fabulous food, efficient and welcoming service and an extremely good playlist! Lovely Restaurant, perfect location for Covent Garden. The food was very good & the service was exceptional. We will definitely be back - Thank you. Absolutely perfect for pre-theatre dining. Another lovely meal here, we brought a friend who did not know the restaurant and she loved it. The Opentable menu was excellent value, the portions ample and the service very good, and friendly. Nice restaurant, very friendly attentive staff. Food was excellent, the chef knows how to cook a perfect medium rare steak!